This is an exciting new partnership for both muniSERV’s professional and municipal members! Our professional members immediately get more exposure for their professional profile and for their ads on muniSERV – and our municipal members who are CAMA members get access to more resources and discounts off muniSERV’s paid services. FREDERICTON, New Brunswick, May 29, 2018 (GLOBE NEWSWIRE) — The Canadian Association of Municipal Administrators (CAMA) is pleased to announce a new partnership with muniSERV.ca – Canada’s leading online platform to connect municipalities and the businesses that serve them – that will benefit its members nationwide. 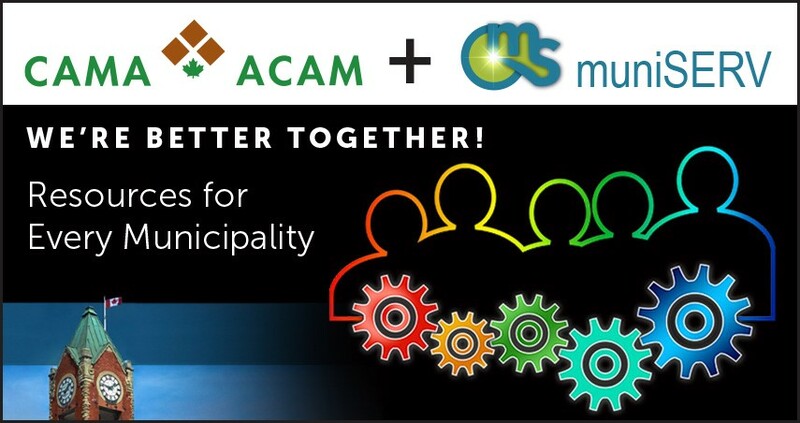 The partnership will allow CAMA members easily to find qualified consultants specializing in municipal matters, post a Request for Proposal, bid or tender, find a CAO, post a CAO job, see and submit events of interest to municipal administrators, and even sell surplus equipment. muniJOBS – coming soon is the only online career and recruitment platform in Canada with a 100% municipal focus that provides candidates with both matching and searchable job postings. Registration is free for CAMA members, and it takes less than a minute to join. Once a municipality is registered, any member of the team can also join and access the services available. The Canadian Occupation Projection System (COPS) predicts that by 2018, there will be a significant shortage of Private Investigation and Private Security professionals for the projected number of job openings in Canada. This is due to a large number of impending retirements and the increasing demand for trained professionals in the Private Investigation and Security field. The current security climate in Canada, the privatization of public security functions and the gaps in accessible knowledge and streamlined training in the private security field, including the gaps between private and public security, are all indications that there is an imminent and urgent need to provide professional and comprehensive private investigative and security services to Canadians. This not only increases individual safety and security within municipalities but also ensure the Canada as a whole maintains its credibility and reputation as one of the safest Countries in the World. In 2002, the Law Reform Commission of Canada opened a dialogue on the trend in the growth of private security in Canada. A continued rise in law enforcement expenditures, combined with economic downturns, have contributed to pressure being placed on police services around the world to become more effective and efficient. This has resulted in a growing trend of privatizing some functions traditionally performed by public policing to the private security industry as well as the growing cooperative efforts between public and private security. Private security plays an increasingly important role in community safety and addressing issues of crime and social disorder. It is often assumed that privatizing and outsourcing traditional law enforcement tasks will result in reductions in the numbers of sworn police officers. This is very far from the truth, on the contrary, public and private security collaboration may in fact result in innovative initiatives that previously did not exist, and with the growing need for security actions in communities, may in fact provide law enforcement with extra resources and partners to undertake more actions without being overworked and understaffed while utilizing various community expertise. There is a growing need for more security trained private resources and more collaboration between all security facets in Canada. In Ontario, Private Investigators as well as Security Guards are licenced and regulated by the Ministry Of Correctional Services and Community Safety. Anyone that acts in these rolls must have a licence. To obtain a licence, you must meet some requirements, one of them is completion of a Ministry-approved course provided by a registered provider such as Focus Investigations. A minimum 50 hour course for Private Investigator and a 40 hour course for Security Guards is mandatory. 2. Book a written exam at a SERCO Canada location that provides these tests. 3. Upon successful completion of the exam, a candidate may now apply to the Ministry for their license. * For Security Guards, Emergency level first aid training is also required. Notes are referenced for several reasons and potentially by several people. Supervisors might want a rundown of the events you encountered the night before, clients may want to know about incidents that affected their businesses, and law enforcement may need these notes to help with an investigation which could conclude in a court case in which the notes will be used to prove or disprove an allegation. It is vital that security personnel know how to take proper notes so that the facts are covered and there is no confusion that renders the reports useless. A crisis occurs when someone loses control over their behaviour. These moments are often preceded by warning signs that tells you someone’s behaviour is starting to escalate. Security officials and any employee having to interact with the public may be faced with a situation where they are called upon to defuse a situation. By following the tips in a crisis intervention course, they often prevent a situation from becoming critical and dangerous and they are prepared and confident in any crisis they may face. As you know, keeping your business top of mind with your ideal customer will help you be their first choice when they’re in the market for what you offer. But cutting through the noise to reach your ideal customers and grabbing their attention is getting tougher than ever. The ways consumers find information have changed. 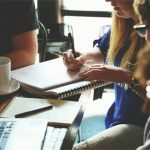 What type of content you produce and where you distribute it will be uniquely specific to your brand. You can’t just put a piece of content up on your website and hope people will find it. Writing articles through the use of a blog is one of the most common and powerful types of content marketing – and having the ability to publish articles to a community blog focussed directly on your target audience is even better! Doing so helps you build visibility with your customers and potential customers while at the same time engaging them and strengthening the reputability of your brand. Your content gives you the power to become an influencer and the voice of authority in your field of expertise. If you’re like me though, because the heavy traffic on the social media channels available for content marketing is constantly growing, I’m finding that my content posted on various social media sites, is like publishing into the abyss. You might get some “likes” and “comments” but it’s hard for most of us who are “technologically impaired” to determine if it actually reached our target audience. To make content marketing work best, not only does it need to be good and relevant to your customers, you must also consider effective distribution of it and getting it in the right places. Determine their pain points and write custom content that helps – tell stories from your experience, provide information that prompts them to ask questions and contact you. Remember – one article alone won’t be the primary source of conversions so you’ll want to think creatively about what types of content you need to produce. Keep your articles closely related or neatly categorized so, as people start connecting with your content, they’re inclined to read more and more. Not including a strong call to action – if someone is reading your blog, they need to be able to reach out to you – otherwise, what’s the point. Tell them what you want them to do next and provide your contact information. Now here’s my 20% Rule in action. 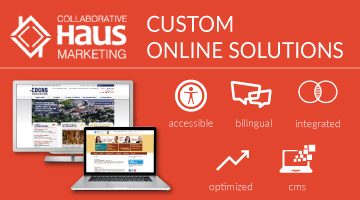 Are you leveraging muniSERV’s Content Marketing potential? According to the Incite Group’s 2017 Marketing Trends, “Personalization” is the next big thing. 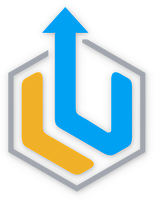 muniSERV is ahead of its time and we already offer our members a component of personalization, in that we take your content and target it directly to municipalities for you. As a muniSERV member, did you know your content on our blog has the potential to reach every Canadian municipality and it will be delivered directly to the inboxes of our 750 subscribed municipal decision-members? So be sure you’re taking advantage of the power of publishing your content to our muniBLOG so you can leverage the strength of our subscribed municipal members. I cannot stress enough, the power in getting the right content to the right people at the right time. Finally, if content writing is just not your thing and you need help – contact me. We can help you with that too. By the way – we’re working hard on taking “personalization” to the next level for our members by developing personalization that will provide segmented targeting to help you reach exactly who you want to reach – so stay tuned!